Excimer laser ablation is the the second step of LASIK surgery in which your cornea is reshaped by the excimer laser to correct your refractive error. This process is controlled by a sophisticated computer with a software interface to control the amount of excimer laser energy delivered to your eye. Excimer Laser ablation can result in LASIK complications from a variety of sources. One of the most feared and most easily avoided LASIK complications is accidental laser ablation, which is caused by the entry of wrong patient treatment data into the excimer laser system. An error such as entering an incorrect sign (e.g., plus sign instead of minus) or a misplaced decimal can result in a dramatic undercorrection or overcorrection and may induce astigmatism. In the example shown above, -8 +4 X 90 is incorrectly entered into the laser system as -8 -4 X 90. In actuality, -12 +4 X 180 is treated, resulting in 0 + 8 x 90 after LASIK eye surgery. Unfortunately, there is little to warn of mistaken laser programming during the LASIK procedure. 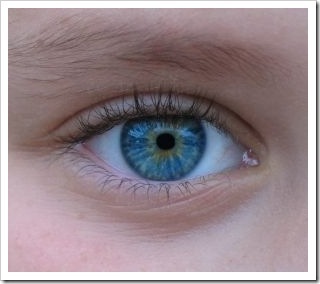 The result will become noticeable only after LASIK eye surgery when the patient does not achieve good vision. In general, errors in laser programming during LASIK eye surgery can be corrected by a LASIK enhancement procedure; however the best strategy is prevention with multiple checks. 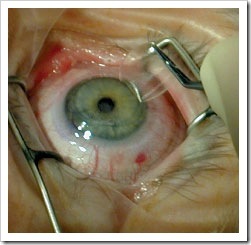 The LASIK surgeon must verify the patient information that has been entered into the laser computer. Chart review and a verbal confirmation from the patient before the start of treatment will decrease the chance for error. Advanced systems that can auto-recognize the patient (e.g., Iris detail) may dramatically reduce the possibility of this type of LASIK complications.